One of my favorite parts about being in the wedding business is getting the chance to connect with people on a personal level about something that is so dear to their hearts and special. Sure, some can be high-maintenance as expected, but the majority are really down to earth and cool, as I think the kind of experience we provide attracts those kinds of people to us. Gretchen was definitely one of the sweet ones and I really enjoyed getting to know her a little bit as we worked out the kinks of the wedding music somewhat at the last minute. She had an idea that she wanted us to learn “Bless the Broken Road” by Rascal Flats for a mid-ceremony song. This is one of my favorite things to do, and I think if it is done right it can bring so much emotion and meaning to the ceremony as well as making it significantly more memorable. Music goes straight to people’s souls I believe, and by having a four minute pause mid ceremony, it gives everyone time to process the event they are witnessing, while providing a direct window into the story and emotions of the couple getting married. I have a dark secret that I actually appreciate country pop. There is something incredible about how the songs tend to be perfectly crafted, with a lot of melodic integrity and a lot of storytelling and simple but meaningful lyrics. Sure some are really dumb, but this Rascal Flats song is an example of just really, really solid songwriting. Their version is of course over the top and over produced, but when me and Julie toned it way down and made it folky, I think the lyrics and meaning pop even more. This much I know is true, god bless the broken road that led me straight to you. Gretchen shared a little bit about her story of her finance as we texted back and forth about the details and I got to learn a little bit about why this song had so much meaning for them. Some other cool things that happened was her uncle sang the Lord’s Prayer and one of her best friends read a love poem. The officiant stole the show with metaphor after metaphor describing the journey of entering into a lifelong partnership: he told the story of nautical journeys and discovering new lands and how the captains would make the crew burn their ships when they arrived at a new destination. 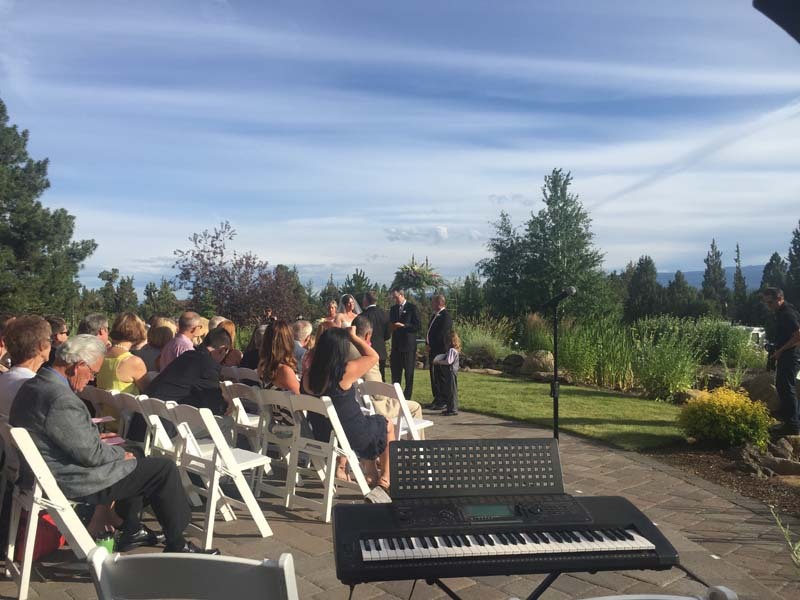 Another beautiful high summer wedding in an epic setting. Thank you Gretchen for introducing us to this song. Congratulations!